This community is located off Rantoul and SR 46A in Lake Mary. It was developed by Engle Homes in the early 2000s. There approximately 150 homes some with direct golf course frontage on Mayfair Golf Course. There is a community playground for use by residents. 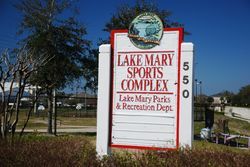 In addition, the Lake Mary Sports Complex is less than ¼ mile from the community. Shopping and restaurants are close by on Lake Mary Boulevard, Heathrow’s Colonial Town Park and Park Place as well as Seminole Towne Mall. Commuters have easy access to both I-4 and 417 via SR 46.